By all means, use the New Year inspiration to do spark some change in your routine. But be reasonable people. On that note, I present a totally reasonable, resolution-upholding salad lunch (or if you worked out too much today, more of a snack). 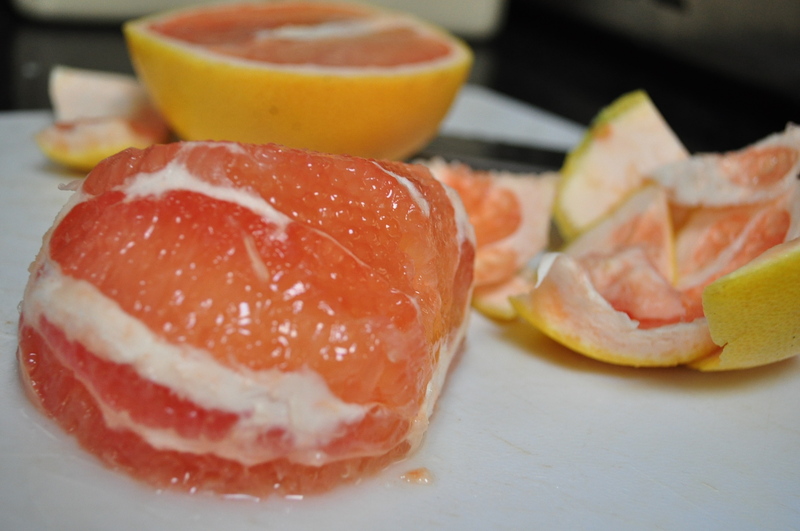 I first got the idea for a “Tipsy Grapefruit Salad” from my Tasting Table emails, which I highly recommend receiving. They suggested the salad as a good way to use your leftover New Year’s booze. But, since I don’t have much booze in the house, let alone tequila blanco and Grand Marnier, I started searching for a more doable recipe. PINK GRAPEFRUIT, unlike white grapefruit, has the antioxidant lycopene, which gives it the pink color and some free-radical-fighting punch. The fruit also contains the fiber pectin that is known to help with lowering LDL cholesterol and limonoids that help inhibit tumor growth (always good), according to The World’s Healthiest Foods site. AVOCADO — and here’s the kicker — has recently proven itself as key to the absorption of, you guessed it, that crazy-good lycopene that’s in grapefruit. Recent research shows the absorption of both lycopene and beta-carotene are dramatically increased by adding avocado (or avocado) oil to an otherwise avocado-free salad, according to WHFoods. 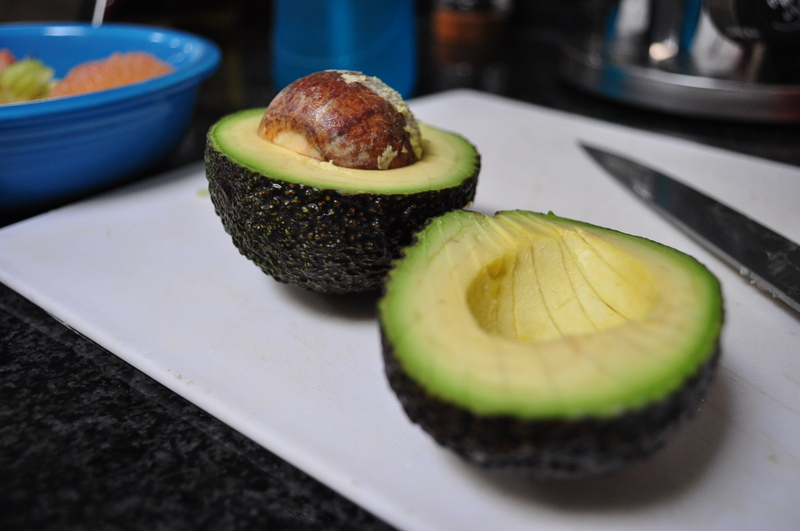 This is because those nutrients are fat-soluble, so the fat that makes avocados the most delicious addition to almost any meal (in my opinion) also helps release the goodness already within that meal. Adapted from an Alice Waters recipe via Food & Wine. Makes about two salads. Cut the recipe in half for lunch for one. Transfer 2 tablespoons of the juice to another bowl. Add the zest, shallot/celery and vinegar; let the dressing stand for 10 minutes. 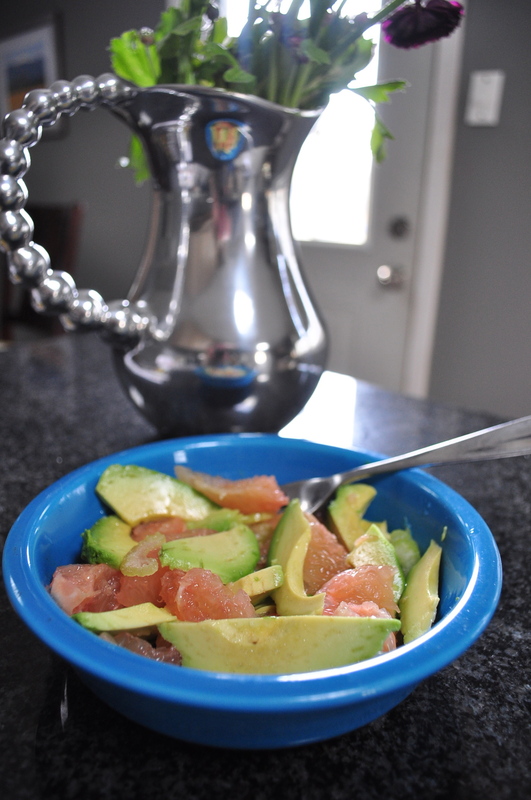 Season the avocado with salt (this is key) and arrange on plates with the grapefruit sections. Stir the oil into the dressing; season with salt and pepper. Drizzle onto the grapefruit and avocado, garnish with the chervil and serve.